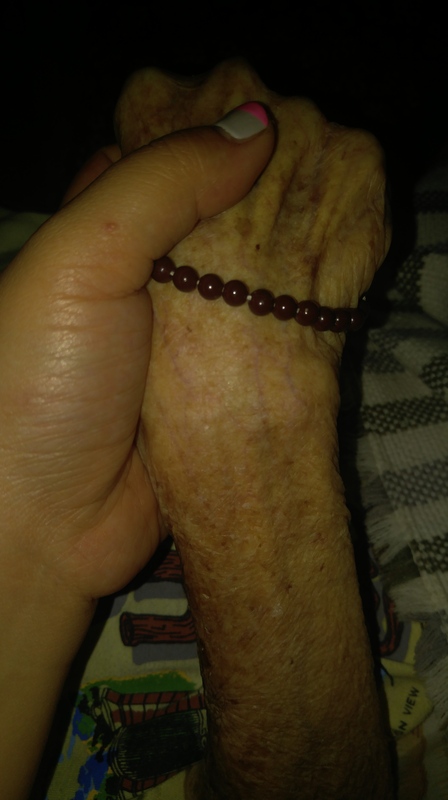 There was a bitterly, numbing coldness through the blanket that covered her lifeless body as I held her hand for what I knew was going to be the last time. I looked at her with longing and guilt that I was not with her when she took her last breathe. I had questions for her. These questions were muffled by my quiet cries. I knew full well that what was in front of me is merely the shell of a woman who once was. I didn’t know what I was expecting to happen. I couldn’t sort my emotions as I was on my knees looking at the woman who brought me up. I wanted to let it out. Scream. Cry out loud. I wanted to hear myself and maybe, secretly hoping that she would hear me too. I could hear myself in my head uttering “ma” over and over as I caressed her hand. I was hoping even then, with everything I had, that she would respond like she used to. I was hoping to hear her one last time. I wanted to embed the sound of her voice in my mind. As I looked at her barely recognizable face, it felt like all my memories of her were slipping away. I felt like everything I knew in life was getting washed away. I was afraid. I did not know any other life but with her in it. She was the ground that held me up, the compass that directed me, the courage that kept me going. My life source. I applaud those who unselfishly let their loved ones go. I don’t know how people move forward from losing someone so important. How does one continue to live? Where does one turn to? I have so many questions. It has been a little over two months since I lost her. I have told myself repeatedly that she needed her eternal rest, she deserved to be reunited with the man who loves her to the moon and back and it was her time to leave this earth. Still, I needed her to bring back the life to the house that is now unfamiliar without her. Call me selfish, but I still wish she could come back. I have chased peaks, waterfalls, and sunrises and sunsets to console my heart. I have buried myself in work, in books and in distraction. Yet the pang of losing her remains. As much as I am afraid of losing my memories of her, my heart aches every time I am reminded of her in every corner I turn, every move I make, and even in the way I speak. We never really think of the little things like the shape of one’s hand, the sound of their voice, the way they loved marshmallows, the way they always had a hankie or the way they always left food for the cat until they are gone. These things become memories, reminders of what once was. As each of us get closer to our final hour, these memories may fade away but our hearts never forget. We are left with indelible imprints of one’s love. Our own lives enriched with theirs. Just as life and death, goodbyes are intertwined with hellos. The hardest ones are the ones not on your own terms. The ones where you hold on by your nails hoping it lasts longer. The ones you know would hurt you most. The ones you know are final. The most painful yet are the goodbyes said in love. You send people away with all of your heart with them. You send them with all the best wishes for a better life without you or eternal rest. You say goodbye knowing you’ll never say hello again. As we laid her to rest, I finally heard myself through my cries. I called out “ma” for the last time.